John Fogarty is the President of Beth Israel Deaconess Hospital–Needham, a position he has held since August 2011, after serving in an interim capacity since February of that year. In this role, his focus has been in the areas of enhancing quality and building collaborative efforts with Beth Israel Deaconess Medical Center. In addition, he has led the growth of outpatient and surgical programs at BID–Needham and the construction of a new, comprehensive cancer center on the BID–Needham campus. Prior to his joining the BID system, John served in the dual role of Executive VP of CharterCare Health Partners and CEO of St. Joseph Health Services of RI. John holds an AB in Economics and a Masters in Health Services Administration from Xavier University. He has served on numerous community boards including his current roles on the MHA Political Action Steering Committee and the Board of the YMCA in Barrington, RI. He is a Fellow in the American College of Healthcare Executives and was a recipient of the ACHE Regent’s Award for Early Career Advancement. John resides in Barrington, RI with his wife, Janet, and two sons, Sean and Patrick. John is an ex-officio member of the BID–Needham Board of Trustees and Board of Advisors by virtue of his position as President and CEO. He is also an ex-officio member of all committees. Kathy Davidson graduated from Northeastern University with a BSN in Nursing and worked as a staff nurse and then nurse manager of the ICU at Carney Hospital. Kathy Davidson graduated from Northeastern University with a BSN in Nursing in 1979 and worked as a staff nurse and then Nurse Manager of the ICU at Carney Hospital. She continued her management career as Assistant VP for Nursing at Faulkner Hospital from 1987–1992 and then VP of Patient Care Services at Nashoba Valley Hospital from 1992–1994. During that time she received her MSN from Boston University and her MBA from Suffolk University. Kathy was recruited to St. Joseph’s Medical Center in Stamford, CT for a turnover management position as Senior VP of Operations. In 1997, Kathy was then recruited to St. Vincent’s Medical Center in Bridgeport, CT as VP of the major service lines; including cardiology and cardiac surgery, neurology, orthopedics, rehab and ED/trauma. In 2001, Kathy returned to Boston as CNO of Boston Medical Center responsible for all the nursing clinical operations including 2200 employees and 1400 RN’s. After a successful seven years at BMC, Kathy was CNO at Steward Norwood Hospital for four years before accepting her present position as CNO/COO at Beth Israel Deaconess Hospital–Needham. Nancy Hoffmann became BID-Needham’s Chief Financial Officer in the spring of 2013. 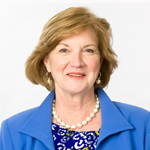 Nancy has a depth of experience that reflects a diverse exposure to healthcare finance including several years in public accounting, serving as the Corporate Controller at Partners Healthcare System, previous CFO roles at both Carney and Merrimack Valley hospitals, and most recently Vice President for Finance at the Steward Healthcare System. Nancy started her career at Deloitte and Touche. Nancy is a certified public accountant and holds a BS from St. Lawrence University and an MBA from Northeastern University. Nancy lives in North Andover with her husband. She has two grown children. ​Gregory M. McSweeney, MD, MBA was appointed the Chief Medical Officer at BID–Needham in August 2014. Gregory M. McSweeney, MD, MBA was appointed the Chief Medical Officer at BID–Needham in August 2014. He is responsible for the oversight of quality and patient safety, risk management, and medical staff office departments. 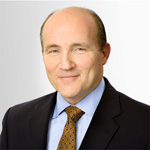 Dr. McSweeney has more than 20 years of healthcare management experience. He comes to BID–Needham from Dedham Medical Associates where he worked as a community-based primary care practitioner since 2011. He served for 12 years at Carney Hospital as Vice President of Medical Affairs, and prior to that, was a medical director at Saint Elizabeth’s Medical Center. Dr. McSweeney is board certified in Internal Medicine having completed his medical school training at UMass Medical Center and postdoctoral training at Saint Elizabeth’s Medical Center. Dr. McSweeney has also earned a master’s degree in Business Administration from Boston University. 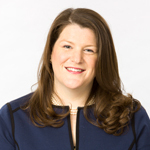 Samantha Sherman arrived at BID-Needham as the Chief Development Officer in July 2012 from Beth Israel Deaconess Medical Center where she played many roles – leading events, marketing and communications, annual giving, and board relations for nearly 15 years. 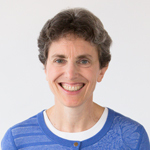 Samantha Sherman arrived at Beth Israel Deaconess Hospital–Needham as the Chief Development Officer in July 2012 from Beth Israel Deaconess Medical Center. At BIDMC, she was the Executive Director of Development and Strategic Planning, serving as a lead strategist on the medical center’s $300 million capital campaign. In her role, she led events, marketing and communications, donor relations, annual giving, and board relations for nearly 15 years. In her current position as Chief Development and External Relations Officer at BID–Needham, she serves as a key strategist on the CEO’s senior team. As a senior executive and leader, Samantha is responsible for the direction, management, and coordination of all the external relations activities at the hospital, including fundraising, marketing and communications, board relations, community relations and benefits, government relations, and volunteer services. Samantha plays an integral part, along with President and CEO John Fogarty, and the Development Committee, in working with the Board of Trustees and Board of Advisors on the hospital’s capital campaign to support the Cancer Center and Surgical Pavilion at BID–Needham. Samantha is well-rooted in the community. She grew up in Newton and lives in Needham with her husband Marc Rolfes and their three children. 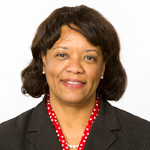 Andrea Williams, Chief Compliance Officer Andrea Williams is the Compliance Officer at Beth Israel Deaconess Hospital-Needham and Beth Israel Deaconess Hospital-Milton. Andrea oversees their compliance and privacy programs, conflict of interest disclosure process, compliance auditing and billing, education development and delivery, investigations, and outsourced compliance work. She collaborates policies and practice activities with Beth Israel Deaconess Medical Center to ensure a consistent and effective approach. Andrea has more than 30 years of experience in the healthcare industry and more than 14 of those years have been in the compliance arena. She is a former corporate Vice President for Caritas Christi Healthcare, a large decentralized health system, which included an academic medical center with teaching physicians, research, community hospitals, multiple physician practice entities, hospice, home care, and various billing systems. She has a Bachelor of Arts degree from Wellesley College and a master's degree from Boston University. Andrea is Certified in Healthcare Compliance (CHC) and is a certified Healthcare Environmental Manager (HEM). She has spoken across the country on topics related to compliance and privacy at meetings and seminars. Andrea lives north of Boston with her husband. She has two grown children. 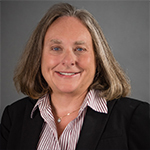 Heidi Alpert is the Senior Clinical Director at Beth Israel Deaconess Hospital-Needham and has been in this position since October 2002. In her role, Heidi oversees our outpatient areas including radiology, laboratory, specialty clinics, endoscopy and infusion and cardiology. In addition, she has key responsibilities for oversight of staff development and education as well as providing leadership for our DRIVE initiative. 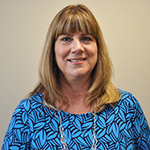 Heidi began her nursing career at Beth Israel Deaconess Medical Center and assumed the role of Nurse Manager after her role as clinical nurse, clinical advisor and Boston College School of Nursing Clinical Instructor. She was the chairperson for BIDMC’s New Graduate Clinical Entry Program and Clinical Advancement Program. Heidi holds a Bachelor of Science in Nursing and a Master’s in Nursing from Boston College. She is a member of Sigma Theta Tau, Chapter Chi (National Honor Society in Nursing). Heidi has been the recipient of the Mary Adelaide Nutting Award for Excellence in Nursing Management and has provided consultation to other healthcare organizations on transition to the new graduate nurse role and their development. Heidi developed and chairs our nurse clinical advancement program at BID–Needham and is skilled mentoring new managers. Heidi resides in Wellesley with her husband and has two sons, Marcus and David. Julie Welch joined the hospital in 2018. Julie Welch was named the Senior Director of Human Resources in 2018. In this role, Welch is responsible for development, implementation, and administration of hospital-wide Human Resources policies and procedures; oversees employee relations and labor relations; and acts as a resource as needed in day-to-day activities of department staff to recruit and retain qualified personnel. Welch has more than twenty years of experience in the human resources field, having previously served as the Director of Human Resources at Norwood Hospital and at Morton Hospital after serving as Assistant Director of Employee Relations and HR Operations at Tufts Medical Center and the Floating Hospital for Children for over nine years. Prior to entering in healthcare, Welch worked in Human Resources in the Media/Communications and Manufacturing industries. Welch is currently working toward an M.B.A. at the University of Massachusetts-Dartmouth with an anticipated graduation in May ’19. Welch holds an A.S. in Human Resource Management and a B.S.B.A. in Management from from Northeastern University. She resides in Bridgewater.